411 Ranch Rd. 620 S.
Once upon a time there was a princess, Abigail Elizabeth Keller, a little girl with a big name, her birth on July 25, 2007 was one of the happiest days of her parents lives. 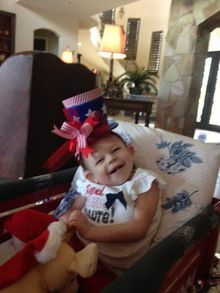 Her parents like to think that Abigail knew of the journey she would take them on by the smile she had on her face as they rode down the hospital elevator to take her home. 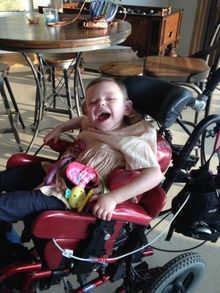 Abbey's smile was the one constant that could be counted on despite her lifelong struggles. One night as she rode in the car with her parents she would get upset and then smile for no reason until Momma realized that it was every time that they left the glow of the overhead street lights, their blind little girl didn't like the dark! Early on as her Dada held her in his arms, during one of the hospitalizations, they were both covered in vomit but she looked up at him and smiled. 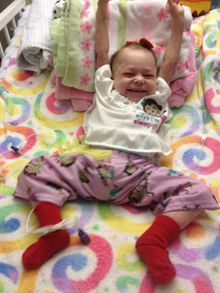 Countless were the times when she laughed and played despite being in the hospital, amazing all who saw. Who else, but Abbey, could get discharged straight out of the intensive care unit to go home? And because of her illness her parents met the wonderful doctors and nurses whom without Abbey they would never have known. 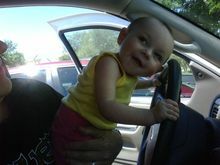 Abigail educated her parents of the world, that is special needs parenting, and were made better because of it. She spent half her life in the hospital or in clinics. Those were the hard times. But there were the good times as well. 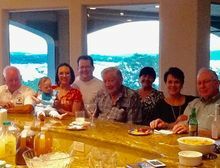 Everyone always looked forward to her birthday, at which in lieu of birthday gifts she would raise money for the Dell Children's Comprehensive Care Clinic. She did such a good job that the clinic started Abbey's Library, a program where at the end of each child's check-up, they are given a book to take home to be shared and read with their mom or dad, thus strengthening the family bond. Abbey made numerous trips to Rockport where she enjoyed the sea air. However, by the look on her face as she felt the sand, her parents could tell that she did not care for the beach. But as Momma changed her diaper and the salt breeze blew across her bottom, she let out a giggle! Oh how she enjoyed getting on the big bed after the long drive down there and being greeted by Honey Gram singing the lyrics of Three Little Fishies or Grand Paw Stink blaring Snake Farm out of his iPad. Going to San Angelo or Marfa to see Vivi and Grand Pa Rog was always a treat, although she really liked it when they came to her house to visit. 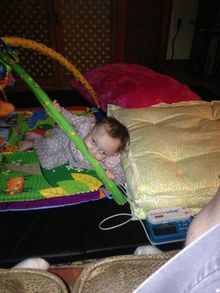 At her house she could show off on her "Cirque du Soleil" play mat and be held by them for hours as she "watched over them". Playing with Grand Pa Rog's alligator hands or Vivi's jewelry were equally entertaining. Napping on the soft bed at the Four Seasons Hotel before the Houston Astros game was always a requirement of both her and Dada. Whether it was the noise and excitement of the Taylor Swift concert with Momma and Amy Slack or the songs her teachers sang, Abbey always laughed and enjoyed the music. 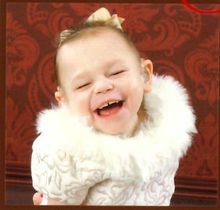 Although as her father found out the hard way, one could not get Abbey laughing too hard because she would have a seizure! 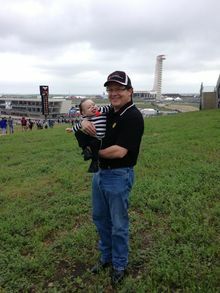 In the later years it became too risky to travel away from her doctors so her parents decided to have vacations in her hometown and what better place than the Circuit of the Americas. 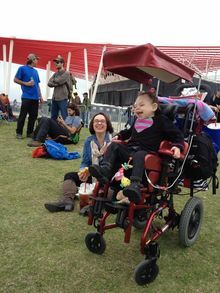 She was treated like royalty by her friends at COTA. Abbey attended multiple Formula One and MotoGP Grand Prix at one of which she got her picture taken with MotoAmerica Champion JD Beach and Andrea Iannone, AKA "The Maniac"! She loved the noise and vibration of the cars and motorcycles as she was pushed in her wheelchair, up until it was time for a nap then she would sleep soundly on one of the sofas or in her momma's arms despite the roar of the engines. Abbey and her family even stumbled upon one of her doctors who had his own race team at the PirelliWorld Challenge. She enjoyed the little things in life as well; shopping with her grandmothers, a ride across the bay in uncle Austin's boat, a balloon from her friend Mr. Bickley, a table full of spoons at Maggiano's neatly placed by her friend Jean, carving a pumpkin with Miss Sharon, the mariachis at Don Mario's, a drive with Momma listening to Pit Bull or opera, honking the car horn at the cows, or just relaxing on the couch or the noisy box. Despite being partially deaf she would always babble at the most opportune times, whether it was during someone telling a story that she would give her "opinion" or during Mass at Emmaus as if she was responding Amen! Abbey was not only a gift but was gifted as well. Numerous were the family and friends, facing difficulties in their own lives, that drew courage from her as they saw what Abbey faced daily. Or when she would be sitting next to someone who was sad, she would reach out and pat them on the arm offering comfort, how she knew to do that remained a mystery but it was always welcomed. Those were the good times of her eleven years. Abbey's family always knew this day, February 7, 2019 would come although they always had hope it would be the "next day". Every day was a gift and blessing from GOD allowing all who knew her to love her. Now she is in GOD's care, free from pain, where she can walk, talk, and do all the wonderful things that she could not do on Earth. Her Great Grandmothers, her namesakes, Mary Elizabeth Doerfler of Temple and Abigail Salgado of Marfa will keep her company until her family is reunited with her. Her friend James Bickley of Lakeway might even have a balloon waiting for her. 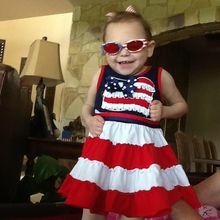 While only a short time in this life, Abbey touched many lives and her memory lives inside her mother and father Melissa and Travis Keller of Lakeway, grandparents Roger and Olivia Columbus of San Angelo, Paul "Buddy" and Karen Keller of Austin, great grandfather Tomas Salgado of Marfa, uncles and aunts, Austin and Megan Keller of Austin, Enrico and Tina Columbus of Big Spring, Eli and Amy Columbus of Dallas, cousins Maegan, Adeline, Ean, Ivy, Emma, Shafer , and Clara and a large loving extended family and friends. Visitation will be at Weed-Corley-Fish Funeral Home, 411 Ranch Road 620 South, Lakeway, TX 78734 on February 13, 2019 from 5-7:00 PM followed by a Rosary. Her Funeral Mass will be at Emmaus Catholic Church, 1718 Lohmans Crossing Road, Lakeway, Texas 78734 at 10:00 am on February 14, 2019. Burial site services will be at the family cemetery in Spicewood. Pall Bearers are her uncles Enrico Columbus, Eli Columbus, Austin Keller, Godfather Kerry Keller, and friends Mario Perez and Jean Bruns. Honorary Pall Bearers are all of you who loved Abbey and kept her in your prayers. Donations in lieu of flowers can be made to Dell Children's Comprehensive Care Clinic, Make-A-Wish, Dell Children's Blood and Cancer Center, and Hospice Austin. Her mother and father thank all of Abbey's family, doctors and nurses, therapists, and Lake Travis ISD teachers who all played a lovingly important role in her life and care.